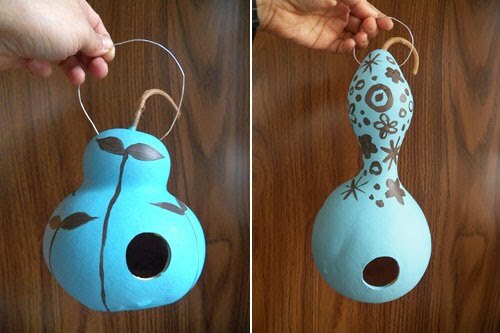 I made gourd bird houses for my friends and family for Easter. I really liked them painted just plain blue but I thought I should add a little more decorative paint to them. 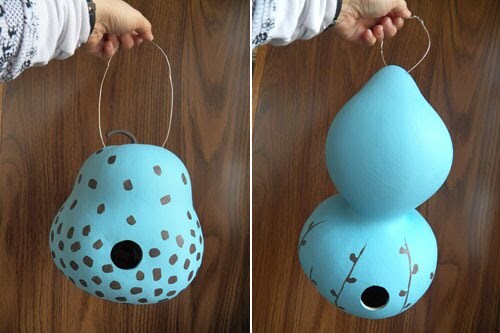 The holes are just the right size for a certain type of bird I looked up online but now I can't remember. We'll see who shows up to live in them. It was fun coming up with different designs for the houses. These were the bird mansions. I love the squat fat one on the left. My mom gets that one. They are pretty straightforward. 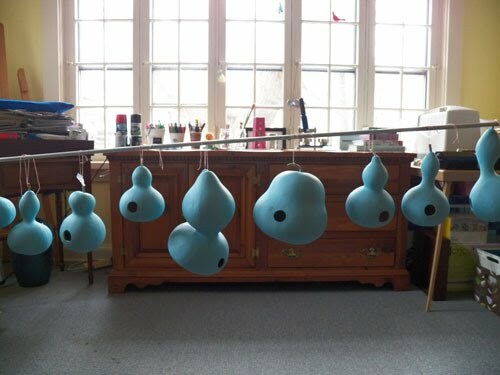 Let the gourds dry. Drill a hole for the bird to enter and two holes for wire to hang it with. 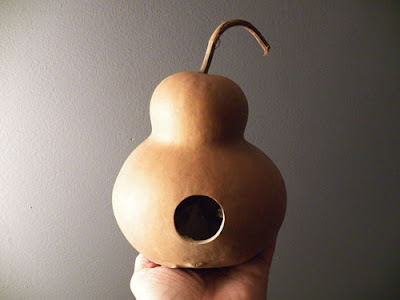 Dig out the dried gourd guts. Paint the outside with exterior latex paint. 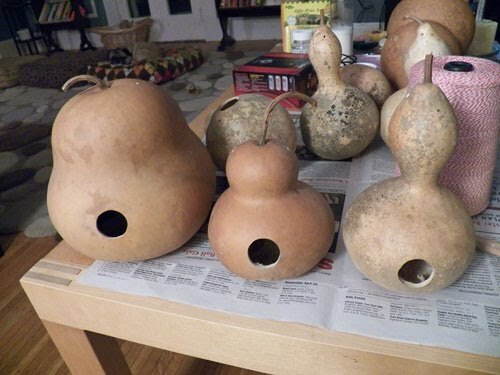 My mom had been saving gourds for me for awhile and Aaron drilled the holes for me. 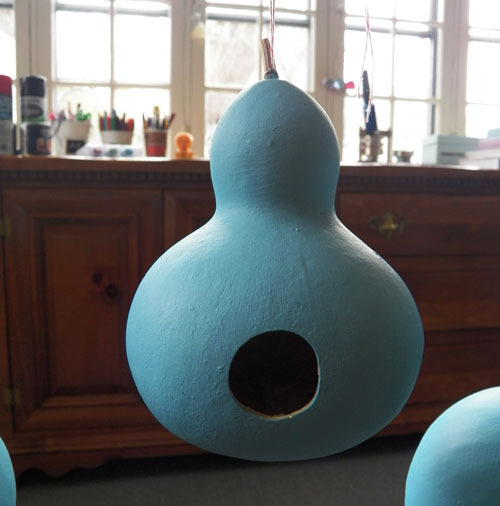 Then I hung the gourds and started a bird house assembly line. I hope everyone (the birds included) enjoys them. Those are fantastic Jenny! How long does it take for the gourds to dry out? Gourd houses are typically used as martin houses. 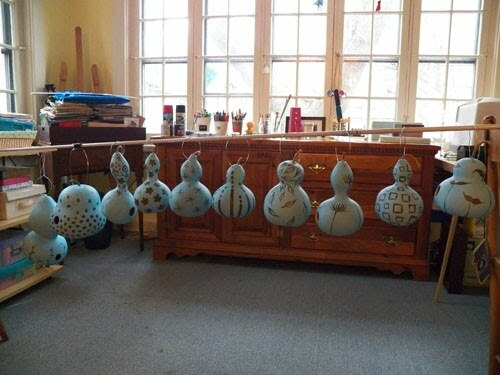 It's common to see 50 houses together on a post and hundreds of martins inhabiting them. Not bad! I'm so shocked that you did these all by yourself. I could use one of these in our garden after our luxury home builders finished our homes. 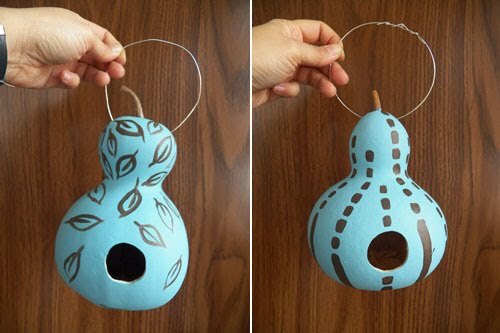 What material did you use to make these beautiful gourd houses? 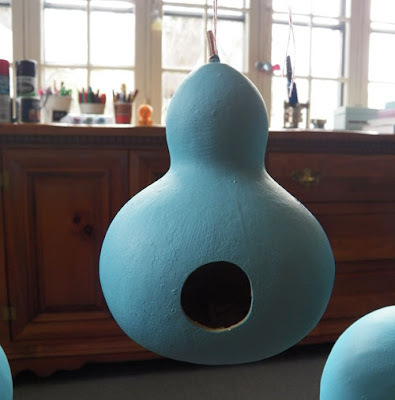 Are they clay based? We're currently looking for homes for sale with a garden. Cool! I have seen a spacious, wide open backyard house in one of these Avonlea homes showrooms. 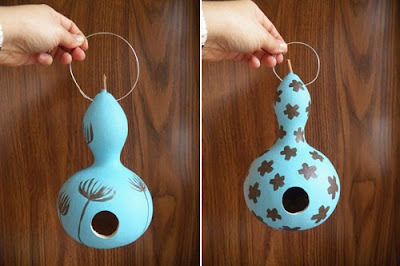 Once we've decided on which one to purchase, I'll be creating one of these. These are so cool, but i read that u have to drill 3 holes in the bottom for draining and ventilation. 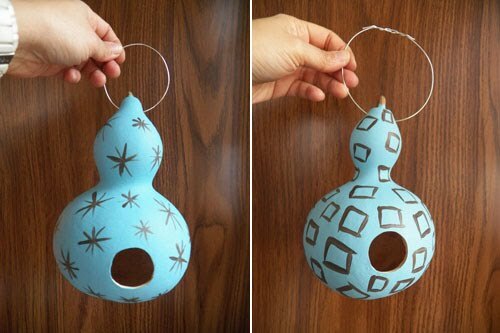 i will try to make some of these with the kids. sure they will love it.